The all-too-familiar story has very little variation no matter how many times I hear it. A pastor attempts to teach his church some “deep” doctrinal truth while a small but vocal minority objects to this teaching and stirs up others against the pastor and the “new” doctrine. As a result, the church either splits and is diminished in size and influence or the pastor leaves, consoling himself that he was professionally martyred for the sake of truth. Those who opposed him in the church, of course, also feel like they took a bold stand for truth and withstood the wolf in sheep’s clothing. Both sides, however, realize that they lost something that will be difficult to regain: momentum, credibility, and trust. It doesn’t have to be that way, at least not always. 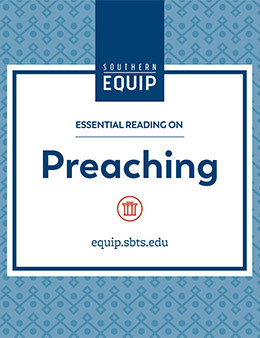 While preachers of truth will regularly have to contend with those who resist it, a lifetime of experience informs me that more often than not, the way pastors relate to their people and present truth will either promote receptivity or undermine it. A pastor is welcome to feel anything he wants to feel. Emotions are neither good nor bad. What emotion he shows, however, is another matter. He cannot afford to let his congregation sense either fear or anger him. The minute he acts out of those emotions – and his people perceive that – he has already lost the battle. He has to act out of love for the Lord, love for His people and love for the truth. A threatened pastor hardly seems secure in his belief and cannot inspire confidence. Once I presented a new set of bylaws to a church I served and a precious man in the church openly opposed them. When he finished, I thanked him for his perspective and assured him that I appreciated his opinion. I knew that, no matter how the vote went, I was still going to be his pastor and responsible to minister to him. I did not want a disagreement about a particular issue to prevent or hinder my ongoing relationship with him or anyone else who might think like him. If a pastor affirms loving and gracious disagreement, then he will seldom have to deal with the kind that is mean-spirited. When a pastor shows truth in the Scriptures, it’s hard for people to disagree with it unless they are willing to deny the truth of the Bible itself. On the other hand, when he tries to present someone’s logical systemization and uses contentious buzz-words that are never found in the Bible, he invites a criticism that, though perhaps unjust, seems credible. The pastor who only presents one side of the biblical evidence and does not embrace and teach the counterbalancing truth will not have credibility with his church. The Scripture is replete with theological paradox and tensions like the humanity and deity of Jesus, the divine and human authorship of the Bible, the unity and three-personed nature of the Godhead, the absolute sovereignty of God and the full moral responsibility of man. Any pastor who presents only one side of an argument will never convince thinking people and, to the contrary, will open himself to their equally simplistic rebuttals and denials.